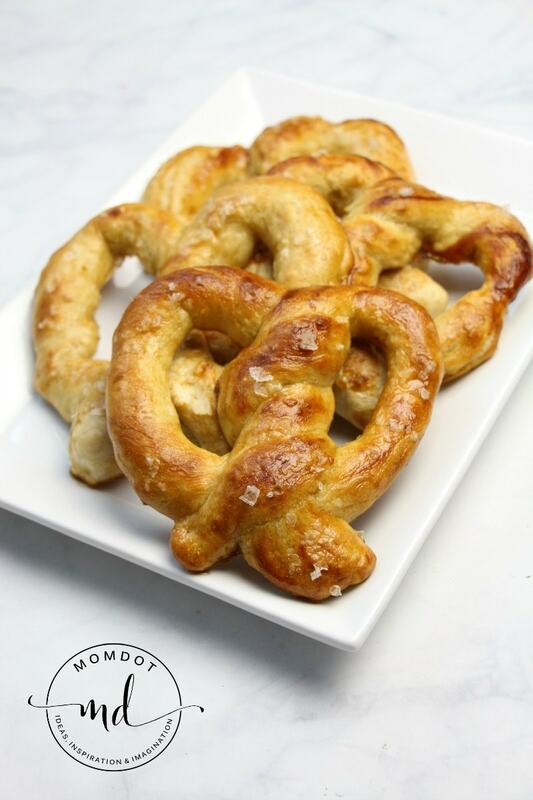 When it comes to desserts, having a pretzel is probably not the first thing that comes to mind. But it should! Dipped in chocolate, cinnamon sugar, or just plain old cheese, easy baked homemade pretzels are the perfect balance of soft, sweet, and salty. You can make it buttery and gooey or full of sugary fun, but either way, making your own homemade pretzels can be as satisfying as a mall visit. To get started on your baked pretzels, you first need to gather your ingredients. As you can see below, this is a simple recipe but it will take some time to rise, so plan accordingly to make sure you that you can enjoy your pretzels after dinner or during a party. Like all bread, it takes a little bit of prep time but well worth the wait. Let’s get started on those pretzels! Add sugar, then flour& mix well- do not ‘knead’ as this toughens the dough. (Mix just until combined well) Let rise until doubled, at least 20 minutes but up to 40 minutes. Shape into pretzel shapes, then dip into prepared dipping solution. 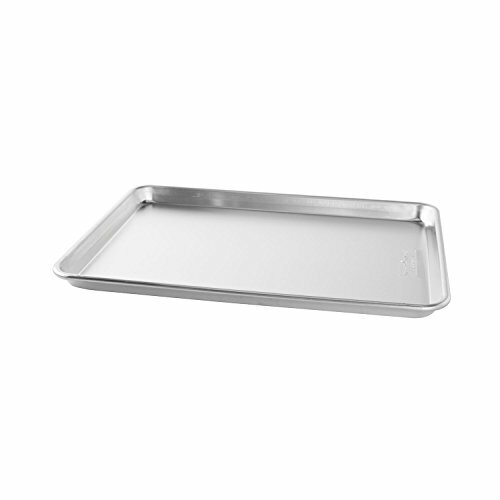 Place on well-greased cookie sheet and sprinkle with pretzel salt. Bake at 500-550°F for 4-6 minutes until golden brown. Cinnamon/sugar- omit salt & dip into cinnamon sugar after face has been coated with butter. Sour cream & onion– after dipping face of pretzel in butter, sprinkle with sour cream& onion powder Garlic- same as sour cream& onion, but use garlic powder. Sesame or poppy seed–BEFORE baking, AFTER dipping into dipping solution, dip pretzel face-down into the seeds, then bake. Salt is optional with this one. Add sugar, then flour& mix well- do not 'knead' as this toughens the dough. Dip face of pretzel into melted butter. Wow you are adventurous! 🙂 They look good. Those do look good! Now that you’ve got the technique down, you can make bagels, too. It’s not much different. Looks yummy! How did they taste? Oh those look yummy! I’ve never made them before…maybe a new idea for the holiday season. Thanks Trisha! They look great! I’d like to try this recipe…but it looks like too much. Oy! Looks like it would be fun to try, all that butter and sugar sounds yummy!! Great recipe!! thanks a lot! DELICIOUS! I have to try this! You’re brave. I HATE making any form of yeast breads. I stick to the quick breads that you stir until just combined, pour and bake. I don’t have the patience for rolling and kneading and waiting for stuff to rise. By the time it rises I’ve lost interest.